Sew! Can! 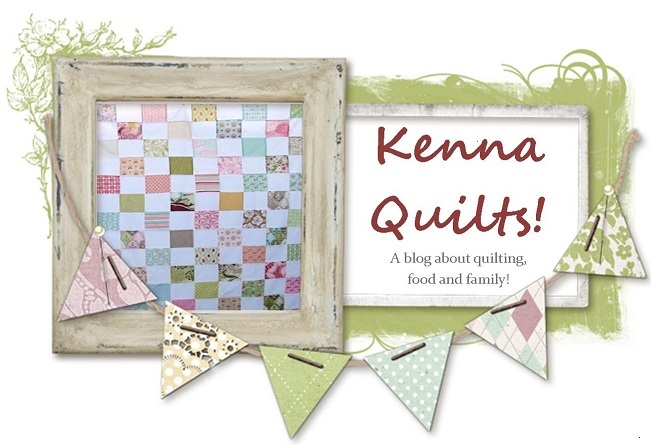 Kenna: Stylish Blogger Award! Jessica from "Quilty Habit" has awarded me the Stylish Blogger Award! To quote Susan Boyle "I'm gobsmacked!" Thanks Jessica!! 7 things about me...oy....this isn't easy. 1. I started sewing with my grandmother when I was quite young. She wasn't a great teacher (she had no patience) but she provided me with all the scraps and all the thread and needles that I could ever want. I made doll clothes. My first "sewing" machine experience was on a Singer Professional half horsepower machine. Now I am addicted to sewing FAST and get frustrated by slow machines. 2. My mom was 33 when I was born. I was 33 when the punk was born. She looks JUST like I did as a baby! 3. I teach junior level English and Home Economics in Orange County, Ca. 4. I've been to 14 countries on 3 continents and 41 of the US states. I'm missing Alaska, Oregon, Montana, North Dakota, West Virginia, Kentucky, Nebraska, Minnesota, Wisconsin, and Vermont. I LOVE to travel. The punk will have a passport soon. 5. I've done lots of jobs in my life, but my favorite was working in retail fashion, specifically plus sizes. 6. I am a product of whole language instruction and am a HORRIBLE speller. Spell check is my best friend (which is ironic because I teach English. But really, it should be called literature). 7. I'm Cajun. Yes....like the food!